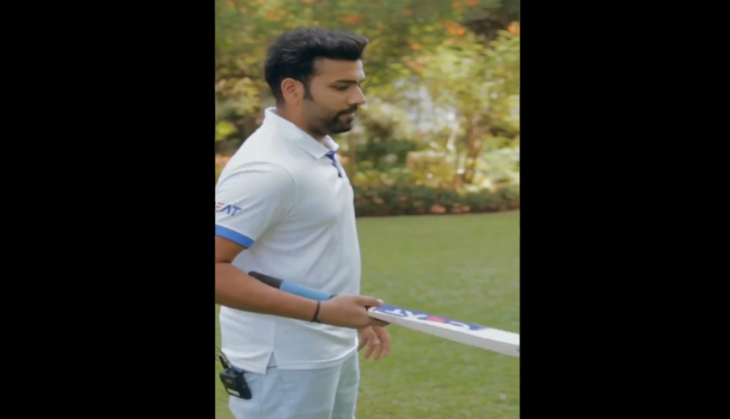 Rohit Sharma launched a Bat Flip challenge on social media that will announce some lucky fans to meet him in person. The Indian cricketer posted a video on social media where he can be seen tapping the ball a higher and flipping his bat around before resuming the drill. Rohit Sharma later nominated Ajinkya Rahane for the challenge. Let’s see how many times Ajinkya can flip his bat while tapping the ball. Mumbai Indians recently defeated bottom ranked Royal Challengers Bangalore after Rajasthan Royals beat them by 4 wickets. Mumbai Indians are currently sitting at number three on the points table as they have 10 points to their name, having won five out of the eight matches they have played so far. Rohit Sharma has been named as the vice-captain of the Indian national cricket team that will be travelling to England in May this year for World Cup. Rohit will open for India alongside Shikhar Dhawan and will look to win his first World Cup trophy.